Buenos Noches from Esteli, Nicaragua! Team Walk Nicaragua is back at it again! One knee at a time, we are changing the lives of many who could only dream of being able to walk again. Whether it’s so they can return to work and put food on the table again, or so they can stroll through the villages with their grand children just like before: WE are here to make it happen. My name is Joshua and I’m a Certified Surgical Technologist. I was very fortunate to be founded by the Charleston team, Team Schutte of Walk Nicaragua, while working with Dr. H. Del Schutte of Charleston Institute for Advance Orthopedics (CIAO) and Sarah Voges. I knew that, as a traveling Surgical Tech, I would be able to see and experience many things, but this experience by far exceeded all my expectations. It has been worth every moment. It is the last day of surgeries, and it’s such sweet sorrow. We completed a total of 9 Total Knee replacements today. Dr. Jennings and Dr. Johnson are just two of the many rock stars who rocked it out on this last day. Everyone on the team worked so hard and so diligently, knowing that we were going to reach our goal, and THAT was to change lives in Nicaragua! 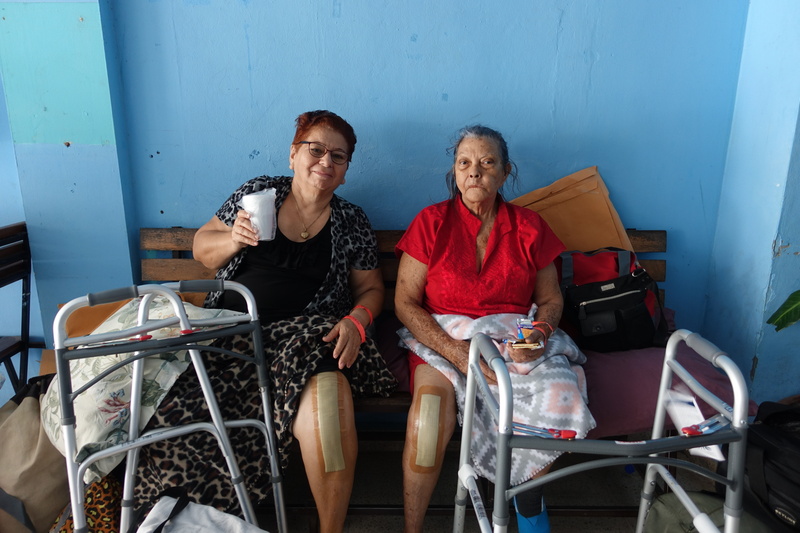 The patients seemed so grateful and happy for the surgeries they have received. As a Traveling Surgical Technologist who has seen a variety of knee defects from normal wear and tear, I couldn’t imagine any other patients who would need this procedure more. It’s unbelievable to imagine the life they’ve lived in order to acquire such horrible knee joint defects: a lifetime of wear and tear. 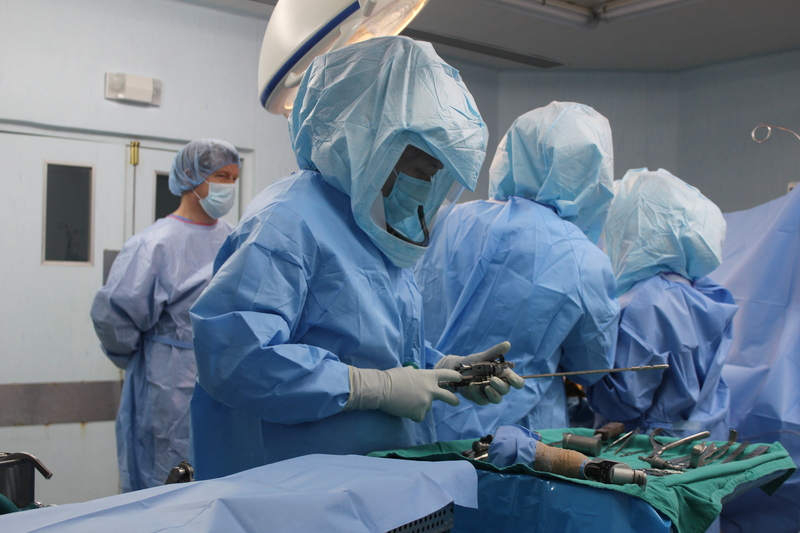 These patients certainly needed this surgery, and that’s what we came here to do. Through Total Knee Joint Replacements we were able to touch the lives of so many individuals at so many different levels. This mission’s impact is truly life changing for them. Not only does it change the lives of those who received care, but also the lives of those who provided it. I would love to take this time to thank Dr. H. Del Schutte and Sarah Voges for giving me this opportunity of a lifetime! This is something I only dreamed of doing. They are such great people and work so hard, day in and day out, to make this mission happen; to create joy and happiness again for patients like these. I can’t express it enough. It is such an amazing event, all lives are touched on both ends of the spectrum. For those who have donated and supported this cause, YOU are definitely the MVPs. Without your contributions and kind heart’s to support this mission, these events would never come to be. There is so much more that we want to do, but taking one step at a time can change everything. So let me say THANK YOU to all who made a contribution of any sort. Whether it’s your time, donation, participation, or even just your moral support, it makes the largest difference to these people, and to our mission. Team Walk Nicaragua, let’s do this again!